Volbeat finished a 30 date American tour just a couple of weeks ago. They're about to embark on a 23 date long European festival tour starting at the Sweden Rock Festival next week. After the European dates yet another American autumn tour beckons. 23 concerts this time. And there are a couple of British dates after that also. 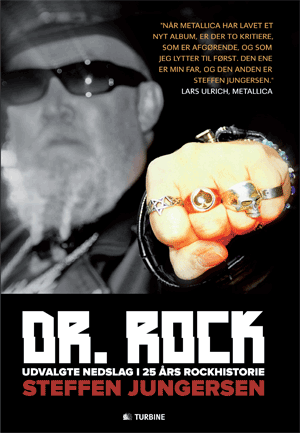 "What the hell is happening with the little rock and roll band from provincial Ringsted (Volbeat's hometown in Denmark, Ed.)?" "More and more people show up to our shows in America. Only three of 'em did not sell out during the recent tour and we're talking 3000 – 8000 capacity venues here. On the fall tour we're playing arenas for the first time and I'm told that the tickets are already selling real well. It reminds me of the way we started out in Europe playing bigger and bigger venues. That was hard enough to comprehend then but now we're selling upwards to 10.000 tickets for shows in the US." "You know, there really is a buzz around the band. When our bus driver turns on the radio you won't have to wait an hour before they play a Volbeat song." Even after alle these years Michael genuinely does give off the air of someone who can't quite understand the fuzz around the band. "Well, it is all in all kind of weird," he laughs. "Okay, I admit we're getting used to people recognizing us when we're shopping in American supermarkets for instance. Even if you do think "I'll be damned" (Again! Ed.) when you're recognized, because I find it a little difficult to understand." It has gotten even harder to understand though. "On the recent tour I've gone to the gym to stay fit every morning and now they recognize me there too and I must admit I've been thinking "this cannot be true"," the singer smiles. "There you are on the treadmill and all of a sudden somebody is standing by your side with a pen and paper asking for an autograph. Believe me, that kind of attention keeps surprising me and I keep thinking "is it really getting that big in America too", you know." Take it from somebody who has known Michael for years. There is absolutely nothing feigned about his modesty in these matters. There is no doubt that the selfproclaimed "hillbilly from Ringsted" does not quite understand the magnitude of Volbeat's American success especially. "Americans are hugely enthusiastic and keep telling us that they've been waiting for a band that doesn't sound the same as everything else," Michael muses. "We don't quite understand ourselves what's so special about Volbeat but that doesn't really matter, because we'll gladly embrace this American success, believe me." Even if it must feel surreal that tickets for the next American tour are already selling steadily. Even if there is a European tour to play in the meantime. "We're just happy that people keep buying the tickets. Fans in the states come up to us and tell us that they've seen 60-65 Volbeat shows in the US alone and you cannot help asking them if they've been absolutely hammered during those shows. Since they keep coming back and want to listen to those songs again," Michael laughs. "Man, we've met families who told us that they've saved money and then spend their holiday funds oln following Volbeat around. It really touches me deeply. . . I didn't even want to see my own favorites three times in a row." 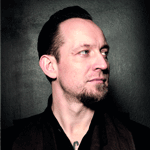 Poulsen tells how many American fans are already on the venue's parking lot when the band's bus roll in early in the morning. Even if they already have tickets. "You really gotta love people like that. They certainly deserve the same attention back that they afford us," Michael says. "If at all possible we go meet them in the parking lot and say hello. It's really touching that they're out there with their car radios blaring Volbeat music all day long. You actually want to go out there and tell them "remember, you'll have to listen to those damn songs again during the show tonight" (laughter). Hell yeah, they're dedicated!"